​So in case you’ve never heard of it, a lifehack is an solution to streamline a process, sometimes using everyday household items. 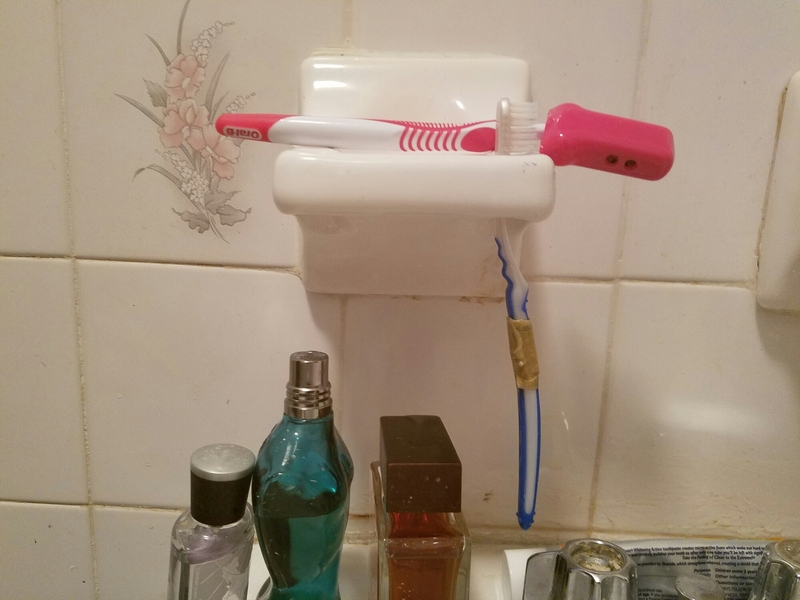 So my toothbrush always went through its holder in the bathroom. My toothbrush has no thick part to catch itself in the eide hole and let the brush dangle well. In fact, it always falls all the way and only the bristles make it stop. It always annoyed me, would have to lay mine across also. 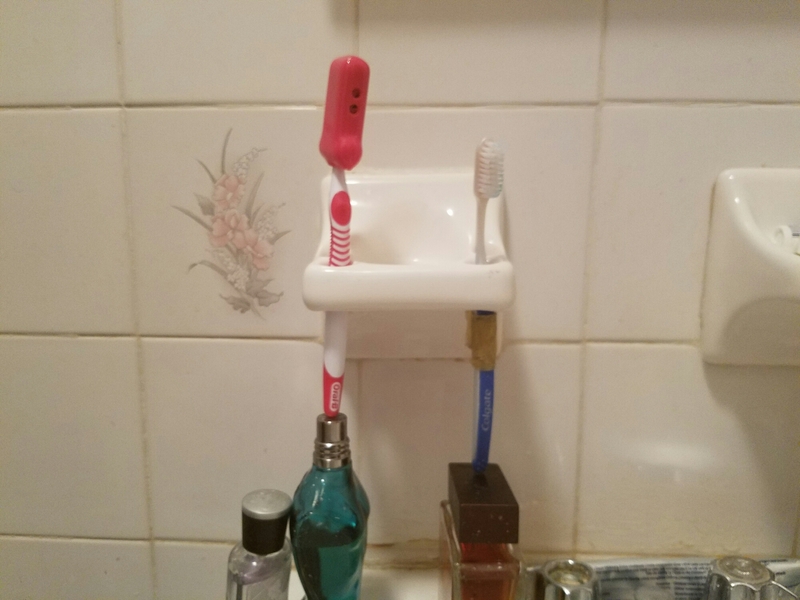 But dammit, I have the toothbrush holder’s built into the damn wall. I’m going to use them, by gum. I recently put tape around it in hopes to make it thicker so it would catch in the hole (You can see the tape on it) Didn’t work. It would need a lot of tape. Then a stroke of genius hit me! Those cologne bottles are standing there doing nothing. Might as well put those lazy effers to work. Next Does anyone else have an aversion to opening their physical mail right away?